Looking for last minute Christmas ideas for the food lover in your life? This year I planned on making Christmas hampers for the first time to give as gifts to family and friends. I’ve also recently fallen in love with the whole stocking filler concept, which I never really grew up with, but have really enjoyed planning in recent years. If you’re anything like me, there is always someone or other who I have difficulty coming up with a gift idea. So this year I thought I’d really brainstorm about the sorts of thing that hopefully everyone would like, and, given the season, I thought I’d share some of my inspiration and ideas with you! As always, I’m looking to find the best gifts possible for the lowest price possible in order to stick to a budget. However, rest assured, I would never scrimp on quality when choosing gifts! So if you’re looking to save a dollar or two, this list may come in handy for you! Even though I bought a lot of these things for the Christmas hampers, I think a lot of them would also be suitable for Christmas stocking stuffers too. If you were planning on making Christmas hampers as well and were looking for inspiration, then you may find this post handy too. A bunch of these things are also from my cupboard and/or great gifts I’ve recently received for my birthday/early Christmas and do not plan to give away, but I thought they might be good inspiration for others! 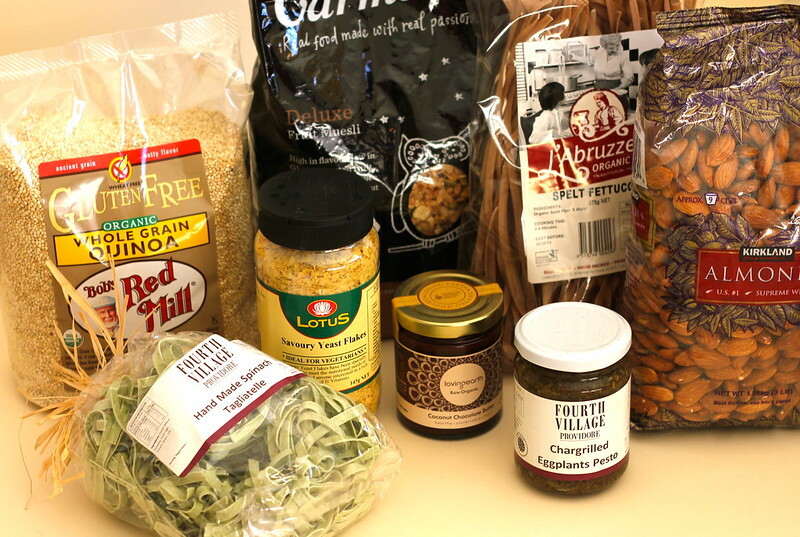 Most of these items can be found at local health stores, good gourmet food stores and Costco. 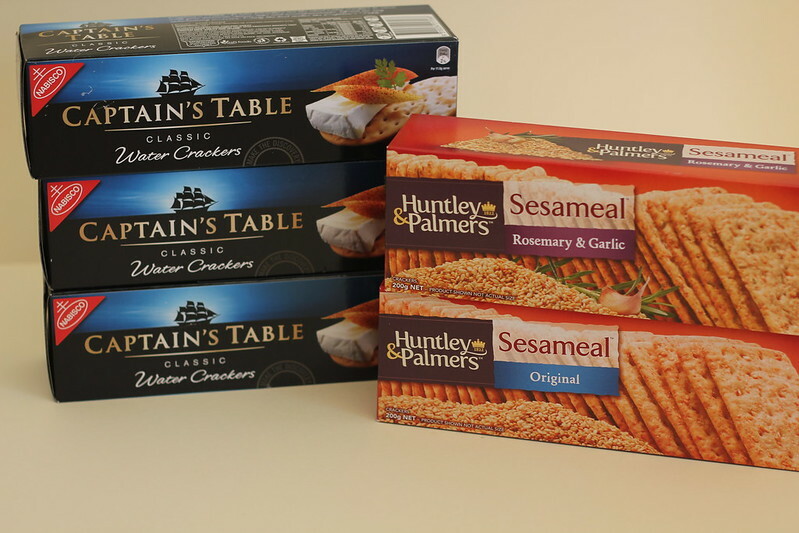 You can also check out Coles and Woolworths as they stock some of these items or similar. These are always a handy gift to put into hampers – great for entertaining, picnics or for nibbling on dips at home. More goodies for the sugar lovers! 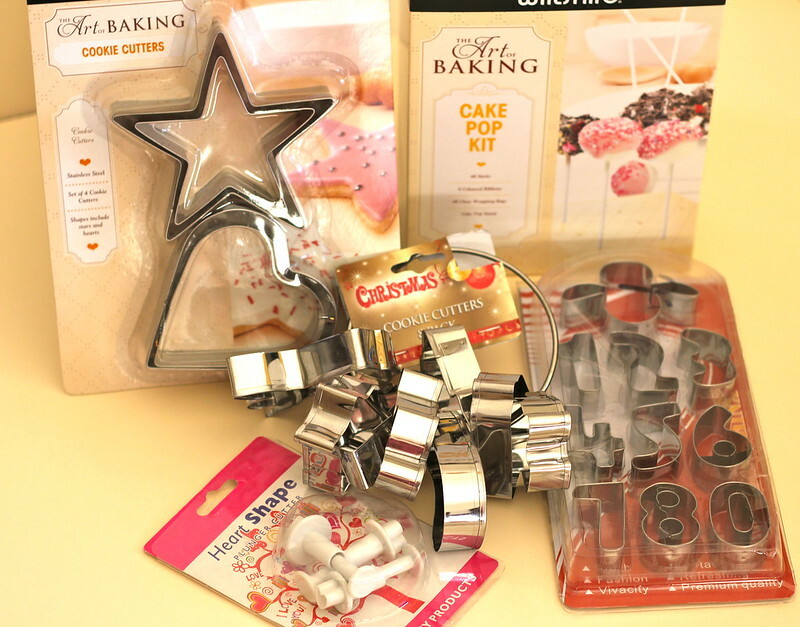 For those who love to bake and decorate! Here it is all in one handy-dandy list, with some extra ideas not pictured in the above photos. These are just some ideas that I thought of, but as you can see the possibilities really are endless! Most of these items can be purchased from Coles, Woolworths, cake decorating stores and/or eBay. 53. Cute cookie/fondant cutters (numbers, alphabet are great for those who love to write messages on cakes, but other adorable cutters are not difficult to find in homeware shops). Christmas cookie cutters are also great. And now some stocking stuffer ideas for those who aren’t as food-crazy as I am! 75. Romance novels? For those who are so inclined – great for the beach! 83. It’s cheesy, but socks. Men I know ALWAYS need socks. 85. If they’re into sports, try looking into that arena – small weights, tennis or golf balls, basketballs, soccer balls, sports shoes and other gear is a treasure trove of ideas. If you don’t have any specific ideas, Rebel Sport vouchers are usually appreciated! I know, I know, the men’s list is a little short. But I always struggling coming up with gifts for guys so I would love any ideas to add that you may have!! 109. Erika from the Pancake Princess and Protein Prince suggests “an framed instagram collage of sorts for xmas (a la http://www.beckyhiggins.com/blog/2012/06/inspiration-a-la-jen/)…but for a foodie who also loves photography, a framed photo of something delicious could be cute! Photos are cheap to print at Costco (love that place) and frames can be pretty cheap as well.” Thank you, Erika! A great idea!! And just to finish this post off, here is a list of awesome Christmas recipes I plan to include in this year’s hampers (but probably not all of them)! So how is your Christmas planning going? If you have any more tips or ideas to share about hampers and stocking stuffers, I would love to add them to this post! Great idea! I love getting food for Christmas – we have so much “stuff” that we really don’t need more. Although you can’t have too many kitchen gadgets! We often send people over-the-top fancy chocolates — something we know they’d enjoy eating, but would never buy for themselves because they’re so expensive. Good post — thanks. Wow, you really put some thought on these lists! I had a good laugh at the men’s list (socks! so true!). Just give me a giant jar of Nutella and I’m happy! Heheh great idea! Can’t go wrong with a giant jar of Nutella goodness! What a great idea! A homemade hamper would be such a nice gift to receive as you know everything has been handpicked. Love your ideas, Christine…and my, what an excitingly large bag of almonds…lovelovelove! Yeah I’m thinking of either giving them to one person or maybe making some sort of praline, or cinnamon honey roasted? My pleasure Kristi! Hope you have a lovely Christmas full of gift basket goodies! Fantastic hampers Christine, you’ve been busy. Lucky friends receiving such a beautiful hamper with your handpicked items..lovely. Dayem, thanks for the tips. I’m always last minute when it comes to xmas gifts. Haha me too. I get most things and then realise 1 week before Christmas I’ve forgotten a whole bunch of little things arg haha. One thought that I had…I want to make my bf an framed instagram collage of sorts for xmas (a la http://www.beckyhiggins.com/blog/2012/06/inspiration-a-la-jen/)…but for a foodie who also loves photography, a framed photo of something delicious could be cute! Photos are cheap to print at Costco (love that place) and frames can be pretty cheap as well. Your fellow foodie friends + fam are so lucky! Wow! You are so thoughtful – those gift basket will win everyone’s heart, I’m sure. I love how you put all the details into it. Thank you Linda, really hope everyone will like them 🙂 I love adding personal details to gifts. What a fabulous post! Such great ideas… I’ve bookmarked to go through all of the ideas when I have more time. You have some FANTASTIC gift ideas in here! I just love this post! I did hampers for family and friends a couple of years ago and had such fun making up each hamper, however it totally blew my budget waaaay out since I prefer a little quality too 😉 LOVE your baking hamper idea! Thank you Maureen! Yes I absolutely love Cost Co. I don’t go often, but its fantastic to stock up on bulk buys. 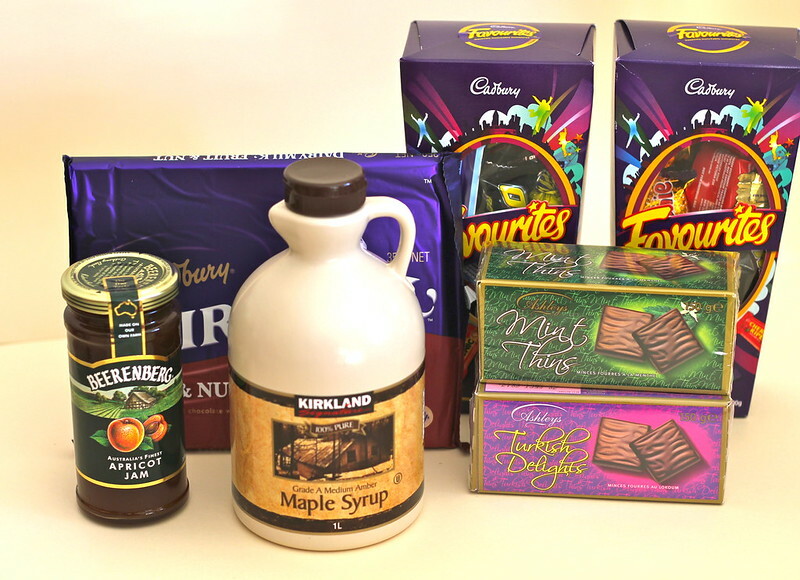 I especially love their maple syrup. 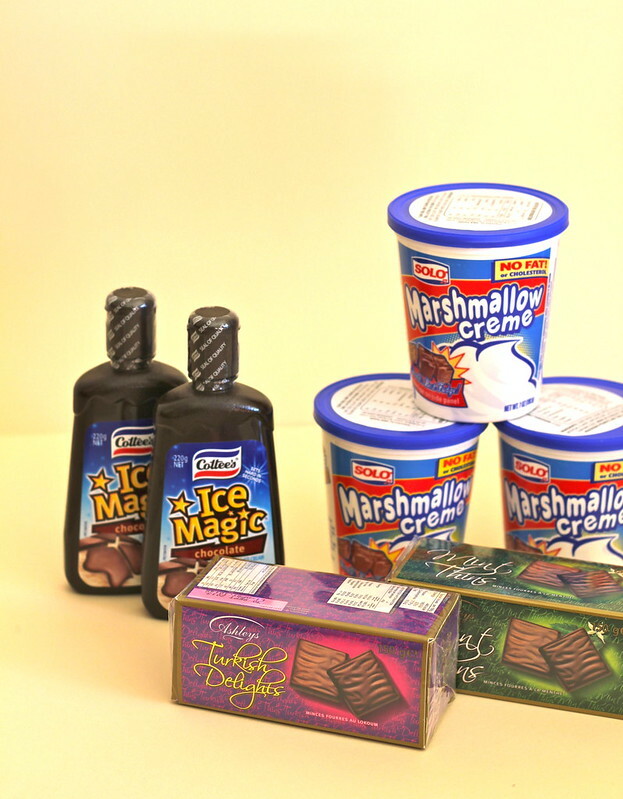 Pure stuff and so much cheaper than Coles or Woolies! Fantastic list! I love getting foodie items for Christmas. My christmas planning this year is slack. Last year I was organised and had a menu planned by the 2nd of December. This year I am in struggle town as to what to make. Love all the ideas for pressies. Cripes you put a lot of time into this all for our benefit! So considerate – I will be using this when I eventually get out and about and start my shopping. 8 days til Christmas you say? eeeek! Hehe hope you like it 🙂 I know, its so close!!! Love your gift ideas Christine! I often don’t know what to give, but then when someone makes a list like this, I feel like I’m missing out so many great options! What a lovely post! I love your gift ideas!!! ooh lovely post! thanks for the tips! ive been sweating over what to give my sister in law! I usually try to give useful and edible gifts. Most of us have too much stuff already. I like to give homemade nut brittle. This year I am going to make granola. Great post with some really good ideas; thanks!